As I mentioned last week, our LoCo Teams are a core part of the Ubuntu community. They provide wonderful contributions in spreading the word about Ubuntu, introducing users in how to get started with the desktop/server, and providing a fantastic support safety net for new users. I want to help to better support the work of LoCo Teams in the 13.04 cycle. In the software world, if you want to write applications for a particular platform you typically use an official Software Development Kit (SDK). This is a downloadable collection of tools that provides everything you need to get started writing software for that platform. I would like to explore the notion of creating a similar downloadable kit but focused on the needs of LoCo Teams to perform advocacy. This kit would be used to organize and run outreach projects, represent Ubuntu at events, and spread the word further and further afield about Ubuntu and Free Software. Promotional Materials – we include a set of posters, signs, banner ads, and other materials that most teams will use in their advocacy. Teams can then print out this content quickly and easily. Assets – we include the assets teams need to create their own materials. This would include our logos, color palettes, pictograms, and other content. Organizational Materials – if teams want to organize outreach campaigns, organizational efforts and other projects, we can include things such as organizational spreadsheets that ease this work, lists of things you should bring to staff a booth etc. Documentation – we would include some written guides for performing different types of advocacy such as organizing jams, booths, giving out CDs etc. At the top level of the ADK would be a README.html file that provides a summary of the content included so it is easy to find what you need. This would be an active project that would benefit all LoCo Teams. It would provide a single concise place to find everything you need to perform great advocacy and get great results. It would be a fun project to participate in and open to everyone to contribute. This would be a Launchpad project with branches, translations, milestones etc. I think having a project such as this that our wider LoCo Teams community can rally around would be useful and and fun. The ADK would not serve to provide a library of promotional materials (SpreadUbuntu already does a great job there), but instead pick a small number of the very best materials to include and point people to SpreadUbuntu if they want more choice. This is similar to how we build Ubuntu; the default install ships the best text editor, web browser etc, but then you can access other options in the Ubuntu Software Center. We would likewise deliver the best content in the ADK and point people to SpreadUbuntu for more choice. This project could be useful for other flavors and projects too. Imagine that a Kubuntu LoCo Team wants to perform some specific Kubuntu advocacy; they could take the ADK, switch out the Ubuntu assets with Kubuntu ones, but keep most of the content the same. This could also be useful to other projects outside of the Ubuntu world to take the Ubuntu ADK and patch it with their own content. We could write the documentation and guides in RestructuredText (this is how the Ubuntu Packaging Guide works) which is simple to write, and this would make it easier to (a) generate additional output formats (e.g. HTML and PDFs) as well as (b) support translations so that teams can have documentation available in their own language. Translating these docs for different languages would be a tremendous contribution. We would give the project a release cadence and release a new version every six months; this would match Ubuntu releases and provide fresh content for all of our teams. What kind of content do you think should go in the ADK? I have asked Daniel Holbach to put together a first cut of the ADK and put it in a Launchpad project and then we can use some of the ideas discussed here (please let us know if you are volunteering to help too) and then we can start working on a shared branch to build a first iteration of the ADK. Thanks for reading and thanks in advance for your comments! This is a great idea, having guides and art stuff done is great for LoCo teams like the one I am part of (Uruguay). also having stuff translated is great! Count Ubuntu Uruguay LoCo team in this project. Mind you tri-fold brochures are likely at the low-end when it comes to marketing material costs where full color posters can cost a lot too. I think there needs to be a more cost effective way for LoCo’s to get materials to advocate locally without dropping the cost on team contacts. Canonical be continuing to fund LoCo Team resources via the conference packs that we provide now. Same issue in Peru. We tried with donations, but did not work, as after 3 huge events we only got less than 8.5 US Dollars. Printing costs here are a little bit more affordable, but in big quantities. Anyways, we could not make much with $8.5, and we were expecting flyers with the Conference Pack as in the wiki.u.c/UbuntuAtConferences page, but did not get them. Simple help as some flyers would really help. The flyers are actually not provided by Canonical in fact it mentions they are LoCo Produced…. That is a bit confusing and they should probably remove that and the name badges since its not something that actually comes in a conference pack and also the hats since those are not provided either. I would hope this kit, which is sorely needed, would be available to anyone, not just to LoCo teams. Many of us could use this information and having the graphics and colors together would certainly help. You should really make a nice LoCo glade/quickly program. Instead of a readme file have a nice screen with buttons to push to make it less like an SDK, and more like a newbie friendly interface thing. Sure power users can easily figure out to look at the HTML file named readme, and of course unzip the zip file to access the contents… but if you could go to the USC and type something like “LoCo kit” and have a nice program that will launch libre office (or Abiword, etc.. depending on the flavour) or show a filemanager list of all the art and branding with thumbnails. You could whip something up in no time flat. Maybe integrate some social media helps as well? 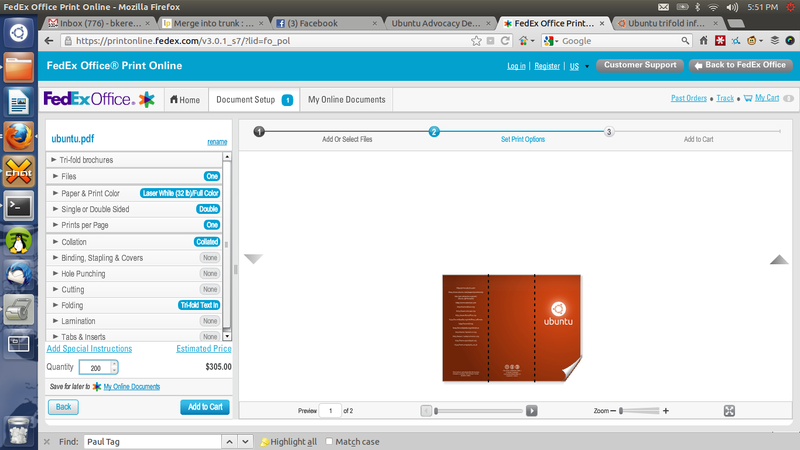 That seems more professional and a sleek looking program is more inviting. Technically, the easiest way to make an ADK is to build links from loco.ubuntu.com to spreadubuntu.org, then add a simple mechanism to download zip files of the right language and with a specific controlled tag which we could vet for inclusion. This would just be a package of all the assets bundled together where on the above sites you can get just the assets you need. True enough and http://design.ubuntu.com has assets too. Love it! We wanted to do that with the french ubuntu-party, but never ad really the time to achieve it. I’m delighted by this effort to have something ready to bootstrap promoting ubuntu and having some common grounds there. If it was really that simple to get them, why would you ever consider putting this kit together? Obviously, it is not that easy. I saw this got downvoted, and sorry to disappoint you folks, but Canonical has limited resources and is already paying hundreds of developers to create Free Software – I wish we could fund this more, but funds are limited. To be clear, the idea of the ADK is to pick the very best assets and materials from our sites and include them in the ADK so the user doesn’t have to go hunting for the best content. So to be clear,loco teams are supposed to help advocate, promote and improve Ubuntu. Yet the majority of the costs fall to the individual groups,despite all the new canonical revenue streams.You get very little with those conference packs. I wonder why loco teams even bother since costing them so much. Yes, I think that these sources will make it easy for us to add content initially. Also some of the documents on the wiki will be helpful. At some stage they should live in LP though, so we can more easily translate everything. Also could I imagine that we wouldn’t want ALL kinds of marketing material in there, otherwise the project will get huge and lose focus. I love this idea! I think a great way to market would be through social media, and if there was some content specific to LoCo Social media best practices and cheat sheets for each network (like image dimensions, keyboard shortcuts, post frequency tips, engagement techniques) would contribute to free promotion and increase community connections. That’s the kind of content I’d like to see and definitely would volunteer to draft the material. Would be available to anyone, not just to LoCo groups. Many of us could use this details and having the design and shades together would certainly help.